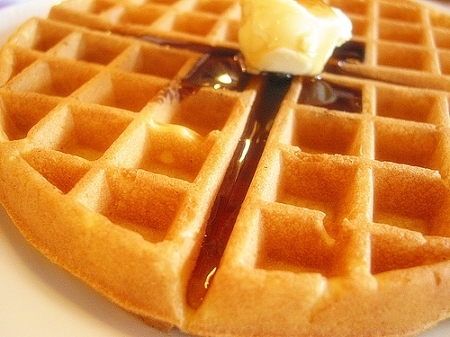 Loaded with waffle flavor with a touch of syrup. A great all day vape for full flavor lovers. And an excellent choice for new vapers getting their taste buds back in shape. Enjoy! First juice I've tried from altcig and its friggin delicious. You can taste waffles, butter, syrup. Will definitely be keeping this as a staple in my stash. I'm in love with this flavor!! I've tried a lot of e-liquid from other vendors but this has to be the best ever. It has a great throat hit, stellar vapor production and leaves me wanting to keep going back to it. You guys nailed it! I'm so glad to have found your company. I can't wait to try more flavors that you offer. You GOTTA try this stuff!! Waffles, syrup, and sometimes I swear I get a touch of butter. My house or car always smells like a waffle factory! Probably my 2nd fav after Caramel Love, delicious waffley-sweet goodness! Just like that one this goes fast in my house :) tbese guys know how to do flavor! Sent as a free sample and LOVE it! It isn't too sweet. Who doesn't like a Waffle? Ordering more right now. Goodness every waffle i ever tried tasted like maple syrup and oh I received a sample with my order. When i decided to try it oh was i thrilled! This has that cake-like flavor of the waffle and the buttery goodness too! I am loving this one and i never imagined it would taste this good!! Thank you Altcig ! you did it again!! This is REALLY GOOD!!! I can taste the waffles, butter and syrup. I have been vaping for 6 months and have ordered a lot of e liquid. For some reason I have never tasted waffle. Wow, I have been missing out until now. EXCELLENT!!! When I phoned in my last order Sunny said they revamped their waffle so I chose that as a 6ml sampler. I'm soooo glad I did. You get the waffle and the syrup but it compliments each other. One flavor doesn't overpower another. This is one of my favorites. Everyone needs to try this flavor, you won't be disappointed. wish there was a 10 star option!! simply amazing ! I have tried other suppliers for juice and was so disappointed every time. I ordered four small bottles of different flavors from this site and these generous folks gave me a free bottle of waffle flavor with my order. How sweet right? All of these flavors are spot on with the description! Great company, super fast shipping and the cost is amazing compared to any other company. I'm definitely never shopping anywhere else for my.juices! Love this! To me, it tastes like browned butter. I love browned butter. This has become my all time favorite. Try the sample. You won't be disappointed. This is the BEST waffle vape out there! I taste a crispy waffle topped with butter and syrup. (It does NOT contain any cinnamon notes - AWESOME!!) I will definitely buy the 70 ml next time. Close your eyes and you're at Waffle House! Wow...amazing balance of maple syrup, hint of butter and awesome waffle flavor. Sweet but not too sweet, melt in your mouth goodness. Will definitely be ordering this one in a larger size next time. Thanks AC! Yet another 5 Star vape!!! Just received this in the mail & I really am enjoying it!! Nice sweet syrup taste with a hint of butter that was very nice this morning while sipping my coffee!! Will order this one again at 18mg.